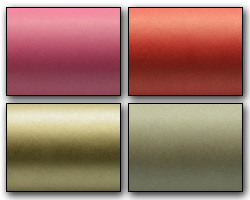 A beautiful pearl blush finish, in a number of strong, vibrant colours. 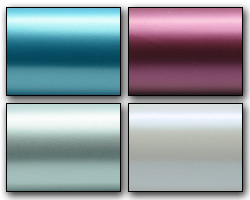 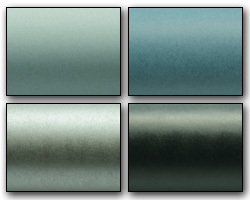 A bright gloss wrapping paper available in a range of great colours. 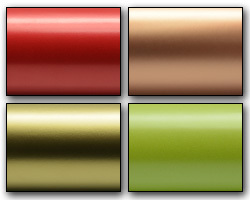 Natural brown kraft, giving soft, subdued colours. 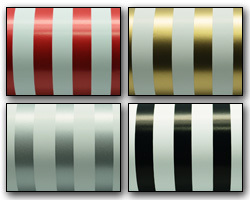 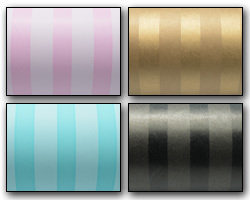 Multiple narrow stripes come together in some terrific colour combinations on quality white or brown kraft. 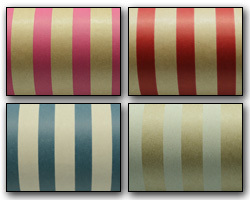 Bright striking stripes in brights or softer pastels.